Your New Home is Now Ready for YOU!! Welcome to the North Valley’s newest GATED COMMUNITY, Paradise Ridge. Conveniently located off the loop 101 and 64th Street, minutes away from shopping and entertainment at Keirland and Scottsdale Quarter. The ‘Bluebird’ Floorplan features an open concept kitchen, 4 bedrooms, 3 full bathrooms, PLUS Library, 10ft ceilings, 8ft doors, and a covered patio for outdoor activities. Designer selected finishes feature a Gourmet Kitchen with gas built in appliances, White Cabinets, Quartz Counters and Backsplash, and Wood Look Tile. Directions: From Loop 101, Exit 64th St to the south. At Mayo Blvd turn Left. Turn right onto N 66th Street into community. Approximate size: 5636.00 sq. ft. 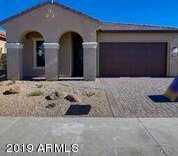 Please, send me more information on this property: MLS# 5857919 – $590,990 – 18205 N 66th Way, Phoenix, AZ 85054. I would like to schedule a showing appointment for this property: MLS# 5857919 – $590,990 – 18205 N 66th Way, Phoenix, AZ 85054.